Ran across some old fish related pics while cleaning this weekend. These photos were taken in Guffin Bay many moons ago, before I owned a digital camera. Guffin Bay is on the north east corner of Lake Ontario. A neighbor alerted us to a belly up fish we might want to have a look at. It was a fourth of July weekend, and the neighbors did alert the DEC. Didn't have a tape measure on the boat unfortunately. So I tried to get my swimming fool of a daughter to pose next to the great fish to show proportionate size. "No way Dad!" Still couldn't convince her after telling her she would live to be over 100 if she swam with the mighty Sturgeon! We did roll it over and looked but didn't see any obvious injuries. Any idea how old a fish like this might be? OK, here is one of my Great Grandfather George. My parents had it blown up into a poster for me 37 years ago. I canr make out what kind of fish your GF is holding. Laker? Stream caught brown. Must have been a big deal, they had a post card made out of it in the day. Grandmother guessed 1920's. 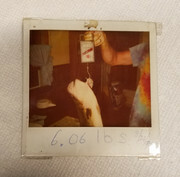 I entered this bass in the Genesee Beer tournement the last year it was run..
Official weight the next day on a local market deli scale was 6.06.. The last bass i ever killed on purpose.. Here's some pics of my dad in his teens in Idaho in the CCCs back in the 30s. 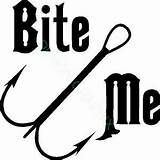 Fishy, Fishy in the lake, please come here and take my bait. I troll and jig you take my hook, and then I take you home to cook. Shad fishing. Me , dad and gramps.. Sounds familiar! I entered the contest, '78-'81? Had my fish weight at a local deli also, 6lb. 9.5oz. Last bass I have ever killed... released two that were bigger too.